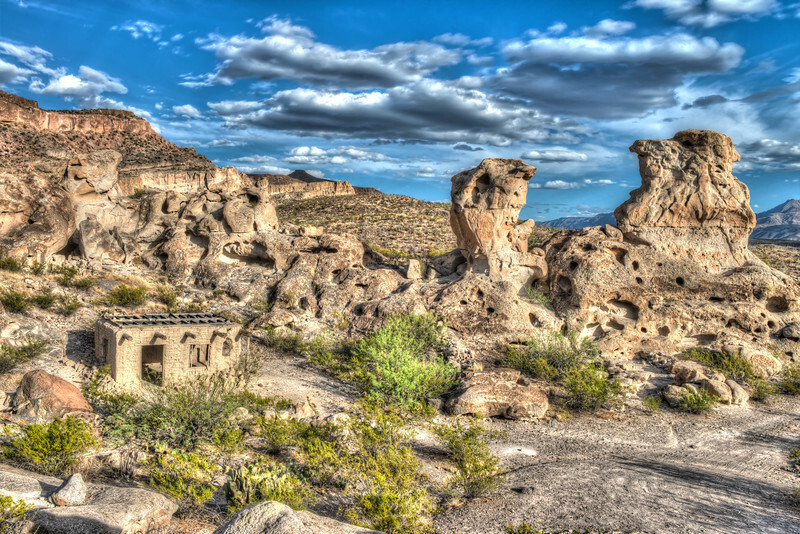 One of two National Parks in Texas. Near the summit it pays to look behind you as you walk the trail. 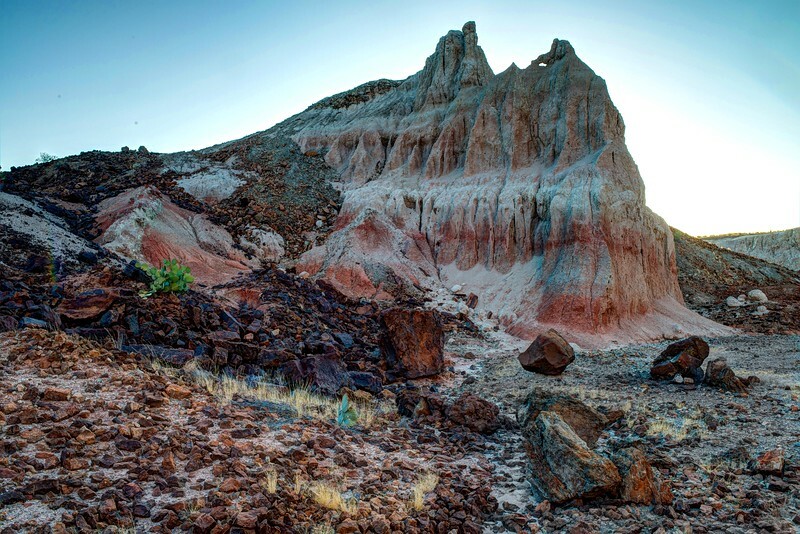 The early morning subdued light really brought out the colors in the rocks. Nikon D850 also helped bring out the vibrancy of the minerals and lichens that adorn the side of the mountain. Broader view looking East on the summit trail. Three frame piano. Our early morning trek to Lost Mine Peak found the mountains in Mexico still shrouded in clouds and fog. Beautiful view! There's a feeling of solitude and solace at sunset in this place of many graves that mark an era long past. It's quiet and reflective, and although there were many people walking around me as I photographed, they were silent and respectful of the history that brought most of these souls to their final resting place. This is all that's left for the movie set as of March 29, 2017. During our first visit here ten years ago we saw several structures and some posters on the walls of the remaining buildings, all gone now. I think the movie Streets of Laredo, starring James Garner was the film this set was originally built for, but could have seen more action after that. 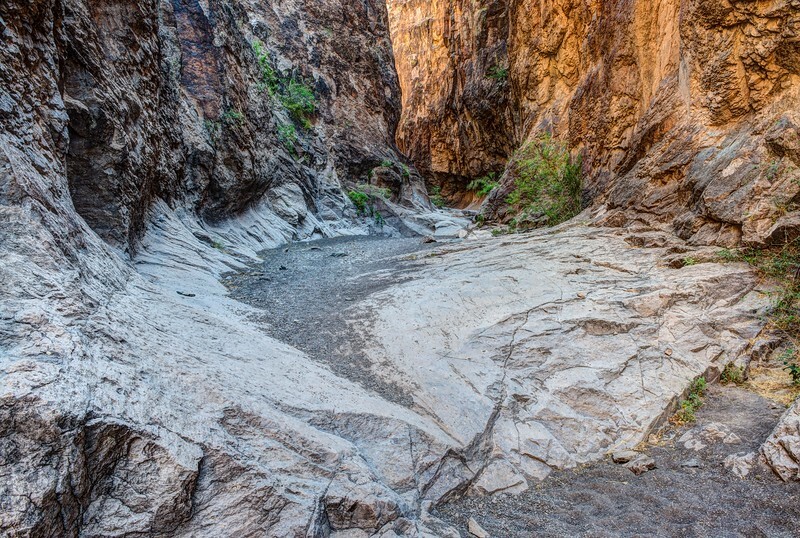 Burro Mesa Pour Off, dry waterfall. 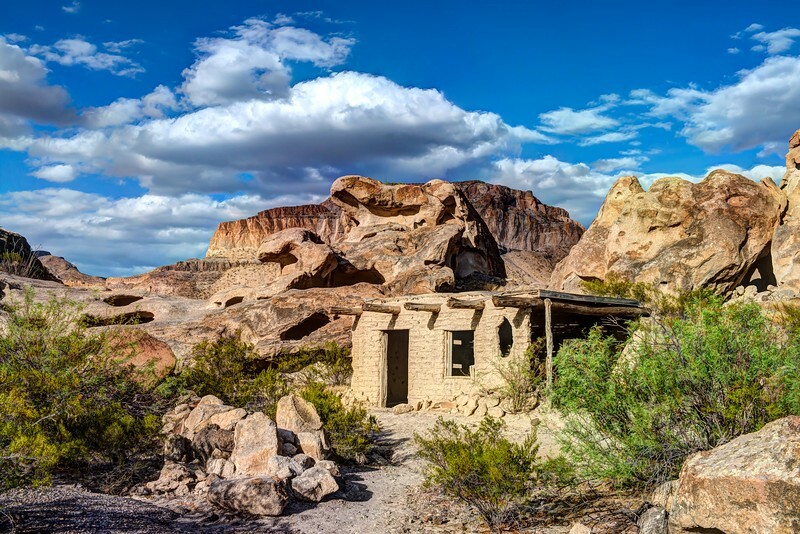 Neat ruin just off the Ross Maxwell Drive, near Santa Elena Canyon. The only remaining structure from the Crow Town movie set. View from the back of the movie set, called Crow Town, along River Road. The movie filmed here was Streets of Laredo, starring James Garner. From the top of the M'Bob Overlook along River Road. Castalon Peak with the desert view in the foreground. 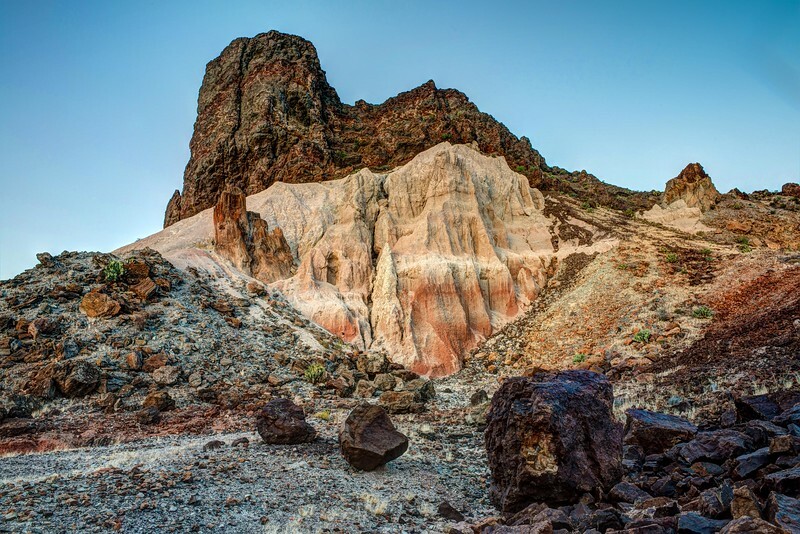 Volcanic area along Ross Maxwell drive. Wide view of Ernst Tinija. It's huge! 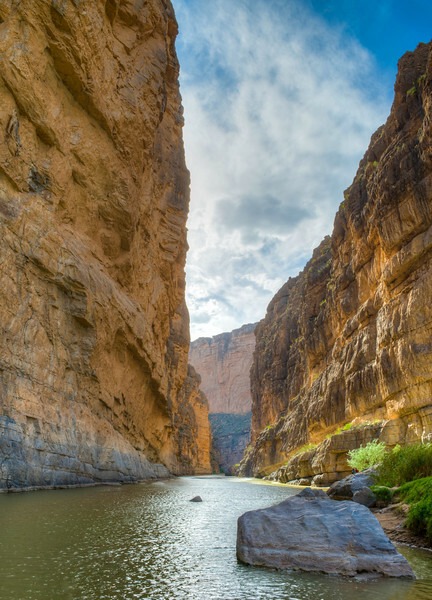 Santa Elena Canyon at the end of the trail. What a view! 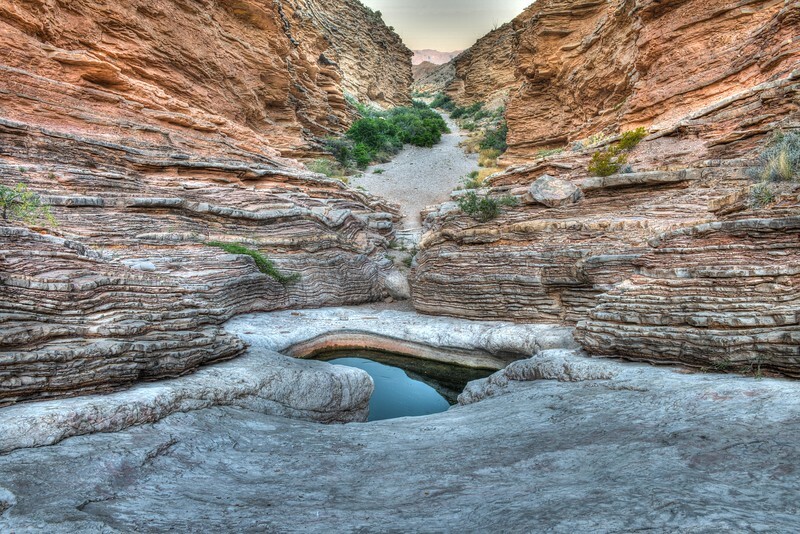 Near the entrance of Closed Canyon. 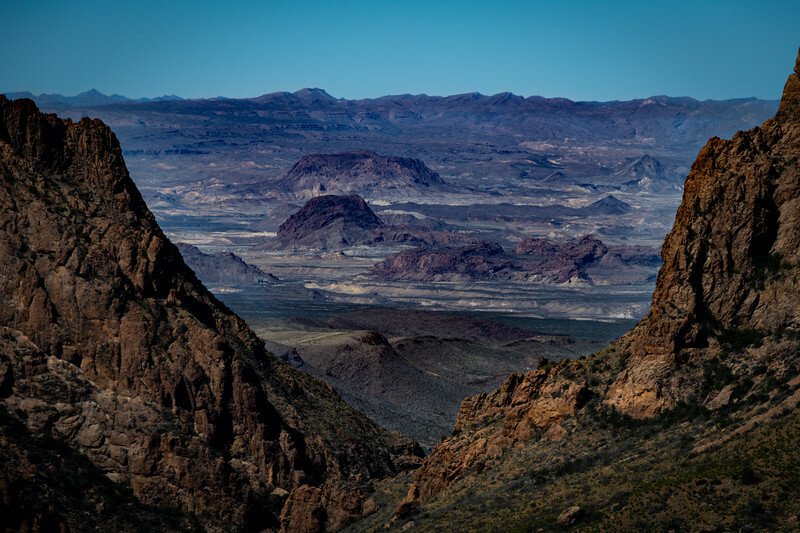 Closed Canyon is part of the Big Bend State Park System, and is an enjoyable hike that leads thru interesting rock formations, and also has a few ups and downs.... Wear good hiking shoes and take plenty of water. 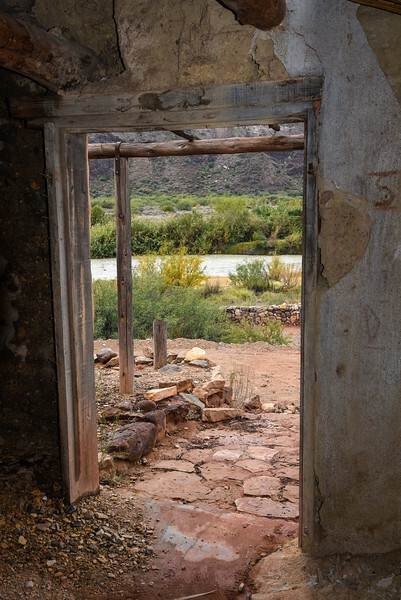 The view from this adobe ruin in the Terlingua Ghost Town is one that may not be seen much longer. Unfortunately, vandals destroyed several of similar structures a few weeks ago, and there isn't a good way to secure the area. It's ashamed that these historical buildings were attacked by thoughtless individuals that should be jailed if caught! 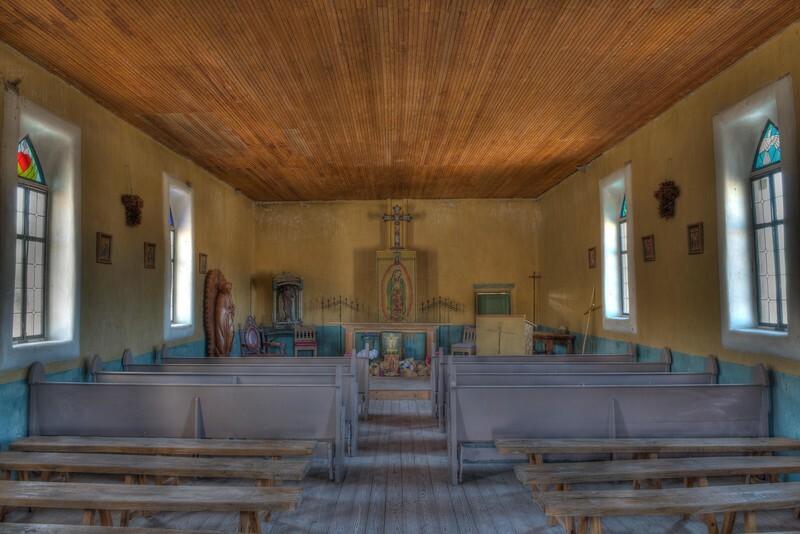 This historic church on the hill in Terlingua, Tx., is usually locked, but this morning we found the doors open and couldn't resist photographing the interesting interior. 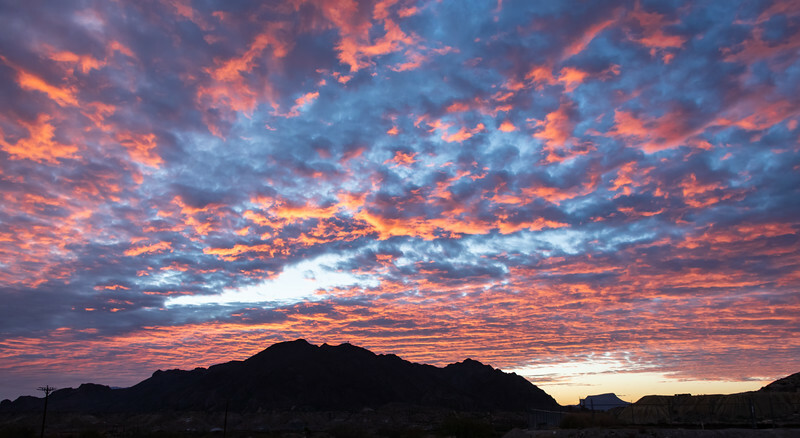 The Terlingua Ghost town Cemetery makes a great subject for images in the pre-sunrise hours. Ernst Tinaja is full of surprises, and this cave near the water is a neat experience. Santa Elena Canyon thru the window of a ruin near the canyon. This image was taken in the Cantina part of the Contrabando Movie set just off Hiway 170, also known as River Road. Texas Parks and Wildlife Depart manages the property, and has decided to tear the set down, except for the Cantina. Several popular movies from the 1980's utilized this set, but time has taken a great toll on the structures, so they had to go. Not sure how much longer the Cantina will survive!